If you are trying to decide what type of blinds you should get for your kitchen, then you may be wondering what the best choice is. 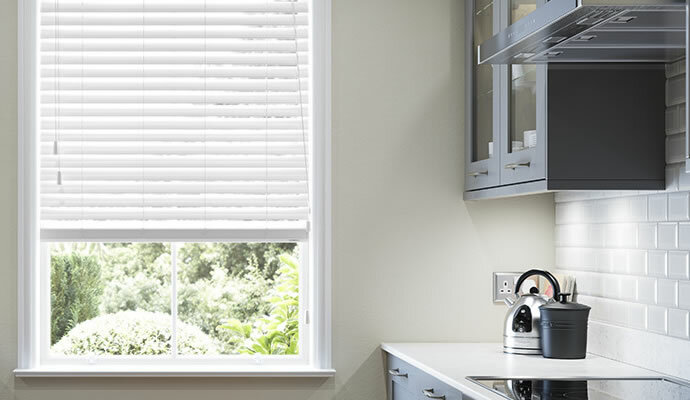 Here are some of the reasons why you should get window blinds in Glasgow for your kitchen, as well as what types of blinds are best for your kitchen and what to avoid. Window blinds can be far easier to clean than curtains, this will depend on what type of blinds you get. Venetian style and faux wood blinds are some of the best blinds that you can get for a kitchen. This is due to them being easy to wipe down to get rid of dust or any other splashes that may get on your blinds. You can even get special blind cleaners and dusters to clean them with even greater ease. Compared to curtains, that may need to be taken off and dry cleaned, window blinds in Glasgow is a far better option here. Curtains tend to hang down and can’t be put out of harm’s way with ease. Window blinds in Glasgow, however, can be rolled up to the top of the window. This can be essential when it comes to safety in a kitchen. Curtains are more likely to catch fire as they dangle down and this would be disastrous for anybody. Roller blinds are a great option to use for these as they can be rolled away substantially, leaving very little-no fabric hanging down. Wooden window blinds in Glasgow are not good in any space that is exposed to a lot of moisture (such as the kitchen or bathroom) this is because wood cannot withstand this conditions without becoming damaged. Kitchens tend to get extremely hot and depending on the ventilation and the type of cooking you do, may also be exposed to high levels of moisture. Both of which can cause irreversible damage to wood. It can cause the wood to warp and come out of shape. Curtains can be a good option for any parts of your house and, depending on the layout of your kitchen, may work in some parts of the room. For the most part, however, they are not the best option. Curtains hang down and can be difficult to secure up high. Due to this, it can be an extreme fire hazard, especially if the window is around where you cook or has the potential to be near something hot. Even if the window is near the sink, this could still be unsafe.